I went home after this and straight to bed. Later I managed to get up and take my night meds. Yesterday, was not a good day. It was an okay day since I had multiple neighbors visit me. In all honesty I got stressed out but managed to keep smiling through the headache and fatigue of the lingering effects of my migraine from Saturday. So after all those visits on Sunday, I had taken out the trash and picked up my mail. I was taking selfies in the courtyard just cuz I could. 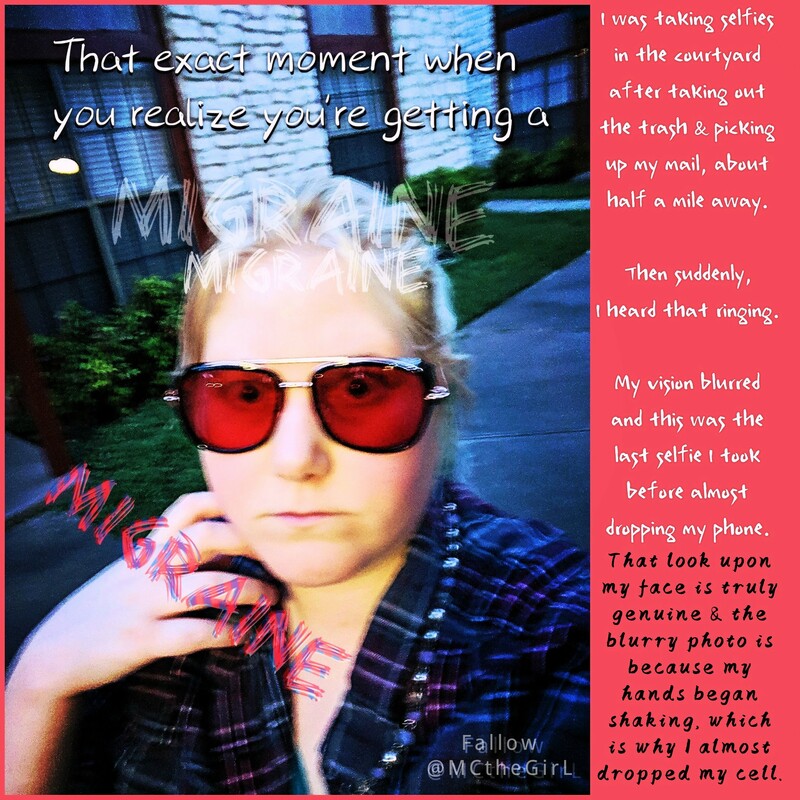 Then out of nowhere that ringing sound started up yet louder from the day before and a new right thing there, I was getting a migraine. Because I was ordered taking selfies, I managed to take this as my very last selfie that day and figured I’d share it with the world. I almost dropped my phone but it landed in my lap so it was okay. Sunday and Saturday, wasn’t so great for me due to it raining on and off, my fibromyalgia flared up my joints stiffened up the arthritis.